The heroes of Black Lightning, Charmed, and the Arrowverse. Long after the rest of the universe has succumbed to heat death, Supernatural will still somehow be airing on the CW, because that, seemingly, is the show’s fate. TV Line reports today on a slew of renewals. Anyone worried that the CW was considering laying off comic book adaptations will be pleased to learn that the network has renewed its entire slate of shows based on DC and Archie comics for new seasons. 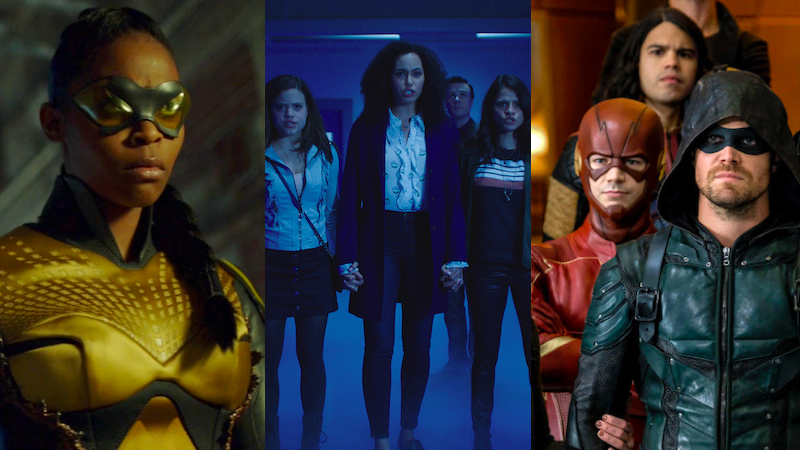 Arrowverse series Arrow, The Flash, Supergirl, and Legends of Tomorrow will continue their superheroing, along with Black Lightning, and you can expect more ridiculous Riverdale drama. The news also includes new seasons for Charmed, Supernatural, and Legacies. Given how successful Riverdale and the network’s annual DC crossover events have done, the news isn’t exactly surprising, and if anything it’s all the more reason to wonder what other properties it’s considering giving the green light. Arrow Revealed the Identity of the New Archer Last Night and It Was...Good?